Pull man car historian and restorer of John Ringling’s private railroad car, the Wisconsin car in Sarasota talks about rail travel of the Gilded Age and how John and Mable Ringling traveled in luxury aboard a fabulous custom car. Ride the rails into the past with Pullman Railroad car expert and the restorer of the famed Wisconsin custom railroad car with David W. Duncan when he leads a Conversation at The Crocker, on Tuesday, January 13, starting at 7 p.m. at the Crocker Memorial Church, 1260 12th Street (Pioneer Park), Sarasota. David W. Duncan is a Pullman Railroad car historian and he has been the consultant on the Wisconsin for The Ringling Museum. 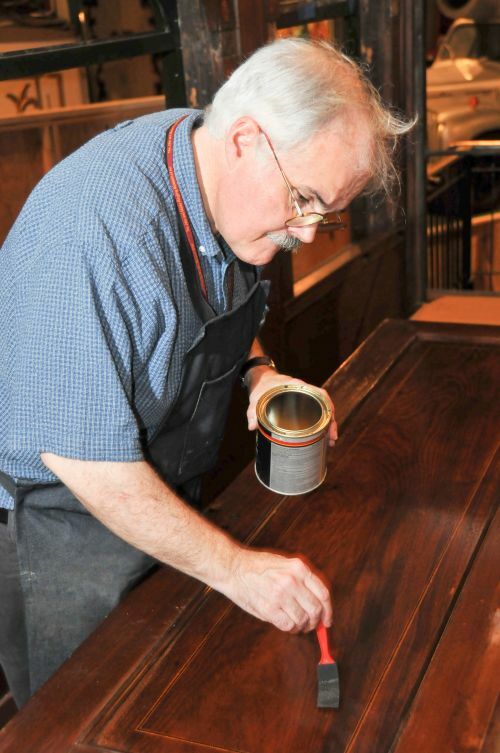 His hands-on work and expertise have been instrumental in the restoration process of this historic railroad car. Duncan will be joined on stage by Ron McCarty, Curator of Ca’d’Zan at The Ringling Museum. A Pullman Car was a standard of luxury in the early part of the 20th century and John Ringling wanted one. Having established a relationship with the Pullman firm by buying second-hand cars for use by the circus, Ringling commissioned Pullman to build a private car for his personal use in 1904. The name Wisconsin was chosen to honor the state that was home to the Ringling brothers and their circus. On March 16, 1905, Ringling took delivery of the Wisconsin from Pullman’s Calumet Shop. He used the car as a place to stylishly entertain and impress friends, family, business associates and politicians. And the car enabled him to conduct circus business as he traveled across the country. Ringling’s first trip aboard the car was to Baraboo, Wisconsin, the family’s hometown. Later that year, John Ringling and Mable Burton were married in Hoboken, New Jersey. “It is rare for a private railroad car to be restored with such care, attention to detail and respect to the historic fabric,” says Ron McCarty about Duncan’s work on the Wisconsin. “Now at the museum, visitors to Sarasota can glimpse a means of transportation that only a few ever experienced. This restored jewel of the Gilded Age tells the story of a bygone era and the community can learn all about it at the Conversation at The Crocker on the evening of January 13.” All aboard ! Organized and presented by the Historical Society of Sarasota County and sponsored by SARASOTA Magazine, this public conversation (accompanied by rare photos) is free to Historical Society members and students. Guests, $10. Proceeds help maintain the two historic properties at Pioneer Park, The Bidwell-Wood House (1882, Sarasota’s oldest private residence) and the Crocker Memorial Church (1901). This entry was posted in Conversations at the Crocker, Past Events and tagged Conversations at the Crocker, Crocker Memorial Church, Pioneer Park, Ringling. Bookmark the permalink.